SeaCrit is an underwater fish based rouge-lite adventure. Built in Unity with a remote international team. My role on the team was as a gameplay programmer I was responsible for elements such as, movement, combat, and loot drops. One example of this would be the growth system. The idea was that as you consumed more fish you would grow to represent that. 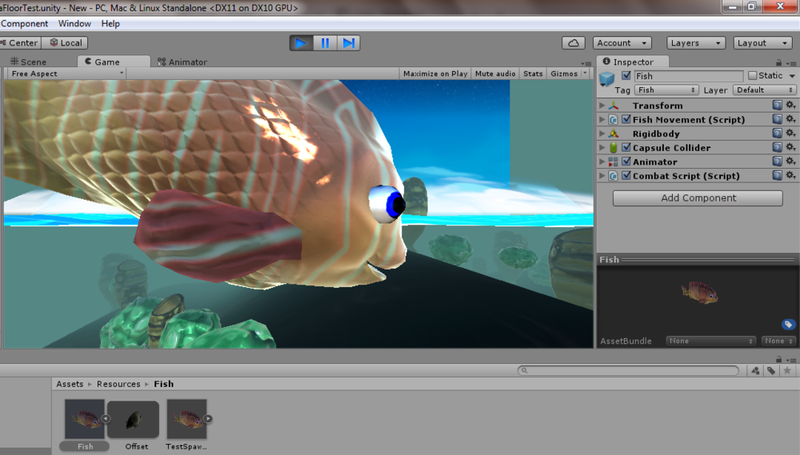 In an early build has forgotten the logarithmic growth factor which lead to some comically colossal fish.